On our journey of seeking out, seeding and supporting the future leaders in the digital field in Kosovo, every once in a while we stumble upon an inspirational gem or two. Such is the case of the two young girls who were beneficiaries of the IPKO Foundation Scholarship Program and were enabled to participate in the Robo Camp organized by TOKA and the JCoders Academy. The days of Robo Camp were indeed magical. The idea of intertwining nature with technology really resulted in a wonderful idea. Actually, now that I stop and think about it, we were learning new things without even realizing it. Different activities helped teach us the importance of conserving nature and our relationship with it. We learned that besides conserving nature, saving drinkable water holds special importance as well, which is unfortunately found in small amounts on the earth. Besides protecting nature, we also learned how to survive in it, how to light a fire without a match, how to get oriented in nature if we get lost using only a compass, and many other things necessary for navigation in nature. Nonetheless, none of these experiences and knowledge would have been possible without the scholarship of IPKO Foundation, who made the magical week during the Robo Camp possible. It is thanks to this scholarship that I was able to have an indescribable time, as well as get introduced to new friends from all around Kosovo. Thank you IPKO foundation! My experience during the Robo camp was extraordinary. Thanks to IPKO Foundation, who enabled me to obtain a scholarship for participating in this camp, I was able to learn many new things that I never knew existed before the Robo camp. All the activities that took place and all the added knowledge by the JCoders made this camp a miraculous time. In this camp I leard many things about programming, nature, as well as a lot of other exciting knowledge. The Robo camp has also affected the raise of my self-confirence, given me more positivity, and also during the time we worked in groups we learned how to cooperate properly with each other. But, it is worth mentioning that, besides the new knowledge, many games and recreation time, during this camp i was able to also make new friends. I was also given the opportunity to meet the wonderful people who formed the staff of TOKA. 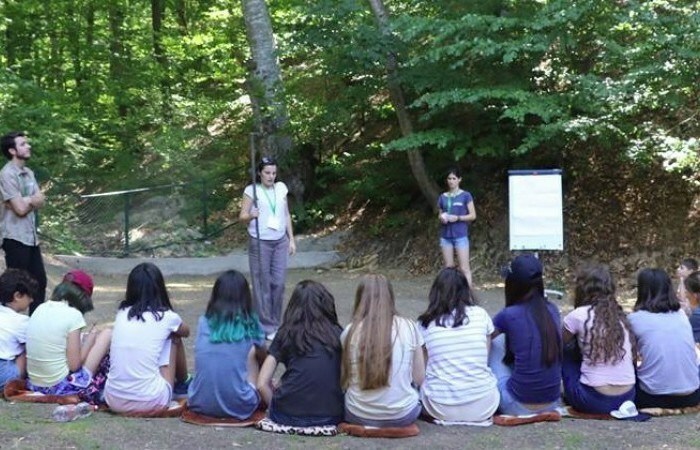 In conclusion, I would like to state once again how thankful I am towards the IPKO who made it possible for me to take part in the camp, as well as the TOKA Organization for a magical week during the camp in Gërmi.